A lawyer representing Katherine Jackson said he will file legal documents that would make the children's cousin TJ Jackson a co-guardian. In the wake of a family dispute that spilled into the media, the living arrangements and guardianship of Michael Jackson's three children are expected to be determined by an upcoming court hearing. 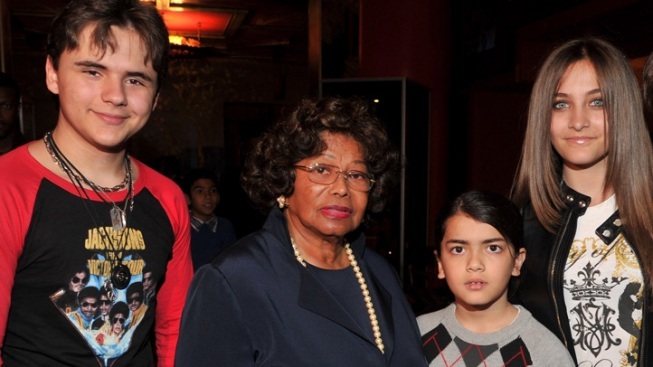 A lawyer representing Katherine Jackson, the pop superstar's 82-year-old mother, said he will file legal documents that would make the children's cousin TJ Jackson a co-guardian. The plan appears designed to remove pressure from Katherine Jackson who was named in her son's will as the children's sole guardian. Perry Sanders Jr., Katherine Jackson's lawyer, has said the arrangement will allow his client to focus on the children's upbringing and not on financial or logistics issues. Legal papers outlining the plan were expected to be filed Thursday in Los Angeles. Superior Court Judge Michael Beckloff is likely to order a hearing regarding the agreement. TJ Jackson, 34, was appointed as temporary guardian in a court hearing after a bizarre episode in which Katherine Jackson was reported missing but later turned up at an Arizona spa. Judge Beckloff said last week that he didn't believe Katherine Jackson had done anything wrong but suspended her guardianship duties because she had been out of contact with her grandchildren for 10 days. She returned from her trip hours after last week's hearing replaced her with TJ Jackson as guardian of Prince, 15, Paris, 14 and Blanket, 10. The new agreement would call for TJ Jackson to remain a co-guardian, with control over the staff and day-to-day operations of the home where Katherine Jackson and her grandchildren currently live. The changes in guardianship come on the heels of family dissension over Michael Jackson's will, which left nothing to his siblings when he died three years ago. Several of them signed a letter which was leaked to the press alleging the will was a fake and calling on executors of the estate to resign. "Mistakes have been made and irrational things have been said on both sides in a highly charged emotional environment," Jermaine Jackson wrote. "It is time for us all to draw a line in the sand and move toward peace, co-operation, love and healing." Jermaine Jackson wrote that the family is still raw from Michael Jackson's death, and his mother has endured incredible stress and pressures since then. "After much soul-searching, it is clearly time for us to live by Michael's words about love not war," he wrote. Another party to the Jackson family drama, singer Diana Ross, who was named by Michael Jackson in his will as a potential guardian of the children if Katherine Jackson was not available, issued her own statement saying the recent turmoil involving Jackson's children and the appointment of a temporary guardian is a private matter and shouldn't be playing out publicly. Ross wrote in a statement to The Associated Press that "all interests are best served if it remains private." Ross and Jackson were longtime friends before his death in 2009. She has been given notice of court proceedings, but the new agreement apparently will relieve her of any guardianship duties, specifying that Katherine and TJ Jackson could replace each other if one or the other became unavailable to serve. Jermaine Jackson said in his statement that by the time of the driveway confrontation on July 23, "it was clear that mutual suspicions had allowed events to spiral out of control." He said that he, Randy and Janet Jackson went to the Calabasas home to try to talk to the children.